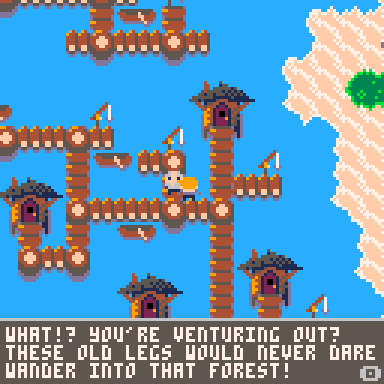 A Dream's Command is a little RPG that just barely fits in a PICO-8 cart, using all of the available code, texture, audio, and map space. It takes 45-ish minutes to beat, by my estimate. NOTE: The icon for the Z key in-game looks like (O), as is standard with PICO-8. This game was originally released on the PICO-8 website in July 2017. Looks very good RPG game made in Pico-8 after the Picomon.